Available at CDK Stone. 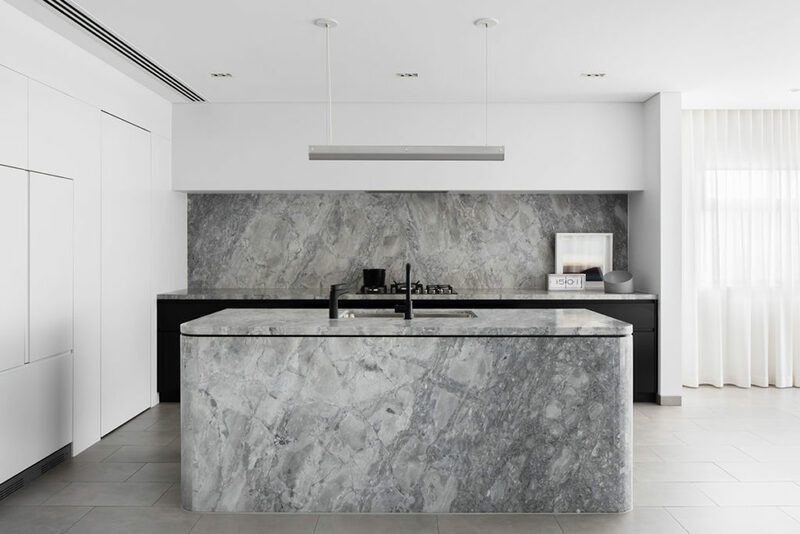 Designed by Moloney Architects, this daring kitchen features New York Marble. After recently being crowd our Stone of The Year 2018, Super White Dolomite is showing no signs of slowing down this year. 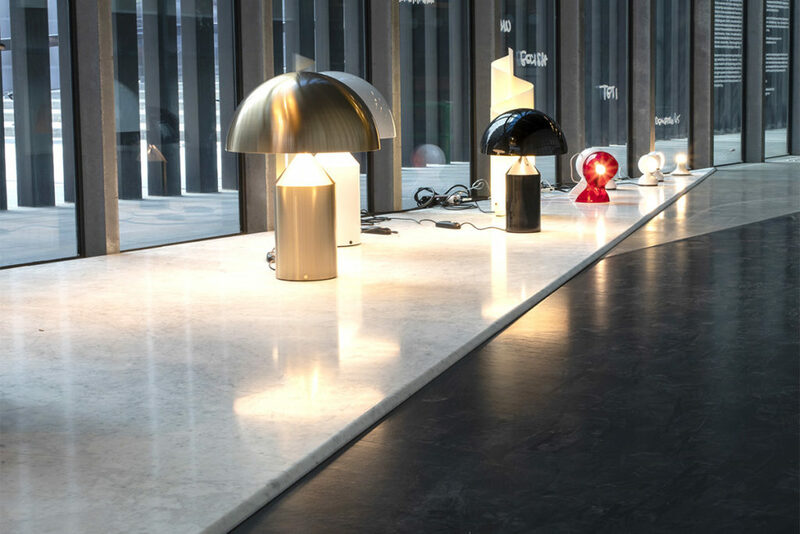 Effortlessly synergising with both light and dark tones, Super White finds a perfectly balance with warm timber hues. 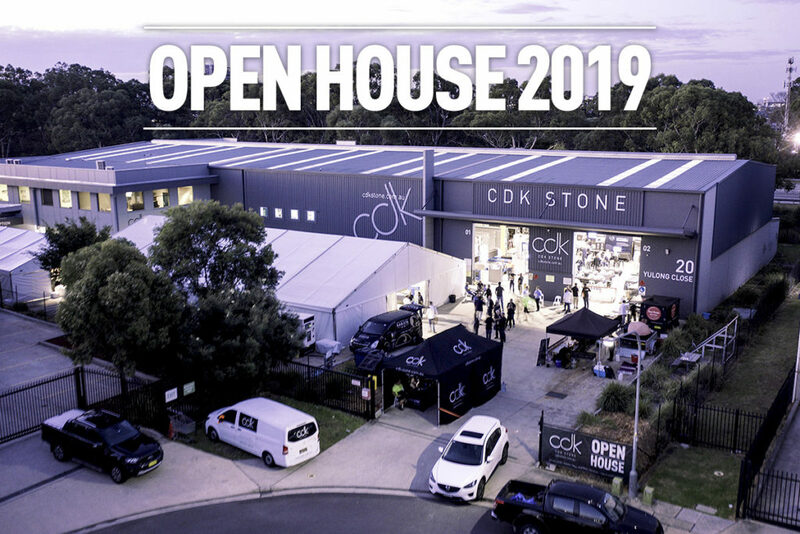 Every year, CDK Stone showcases their extensive range of machinery, tools and equipment during our Open House events. 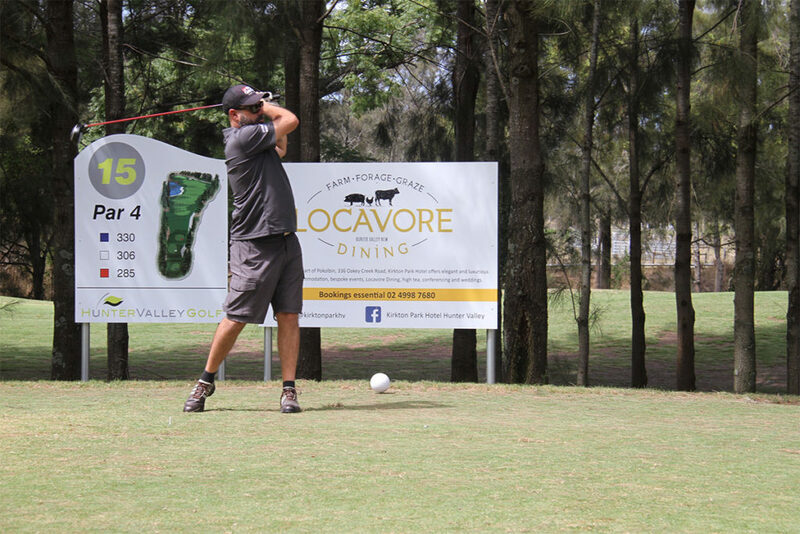 All under one roof, this premier industry event was hosted at our Sydney head office on Friday 15th of March. 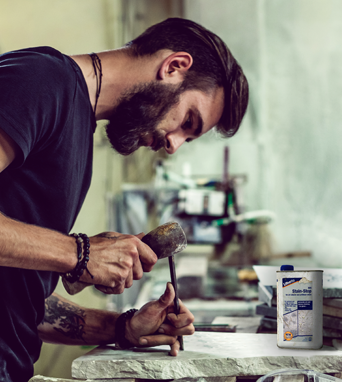 Another huge success, this event focuses on demonstrating the latest machinery, showcasing leading tools & equipment, hosting industry discussions and exhibiting our Natural Stone & Neolith collection. Recently, CDK Stone has partner with the National Gallery of Victoria, The Italian Institute of Culture in Melbourne, RMIT School of Architecture and Urban Design to deliver the exhibition Vico Magistretti – Archivio in Viaggio/Travelling Archive. 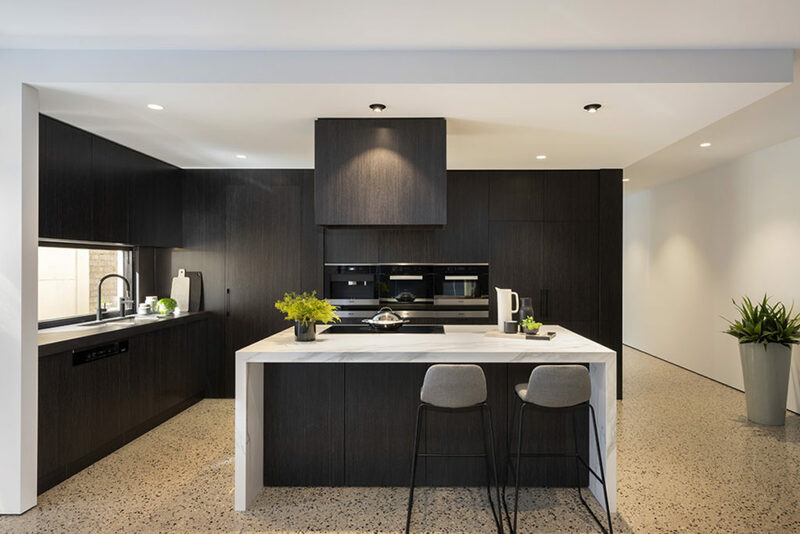 Created by Dan Webster Architecture, this breath-taking kitchen design features Neolith Estatuario. With a bright backdrop and elegant veining, Neolith Estatuario adds a sense of freshness to any space. 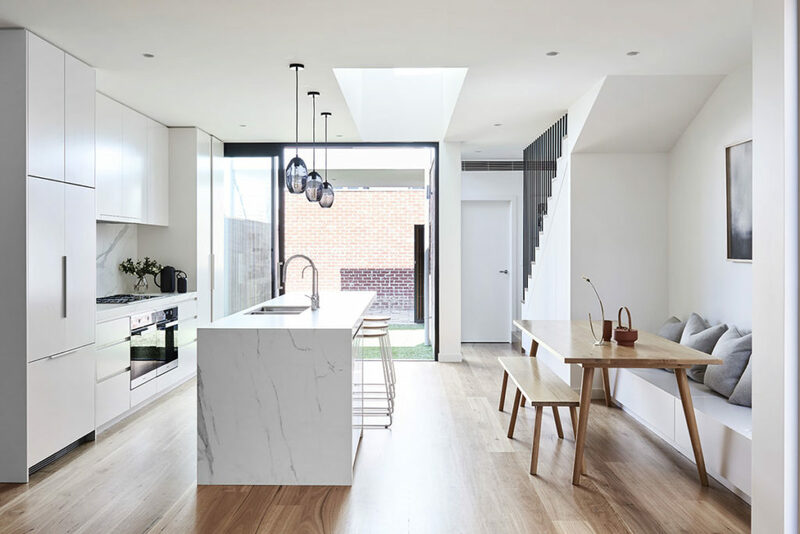 Coupled with the flowing natural light, this is open plan design is oozing tranquil living. 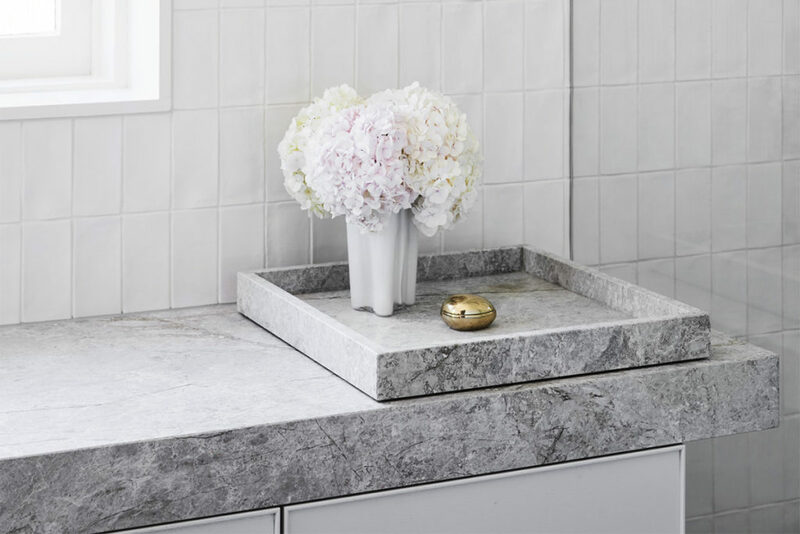 The latest trend we are loving is Natural Stone trays, perfectly represented in this New Savior Limestone bathroom. Set to continue in 2019, stone trays capture attention whilst capturing your accessories. Stark and Soft. Bright and Bold. 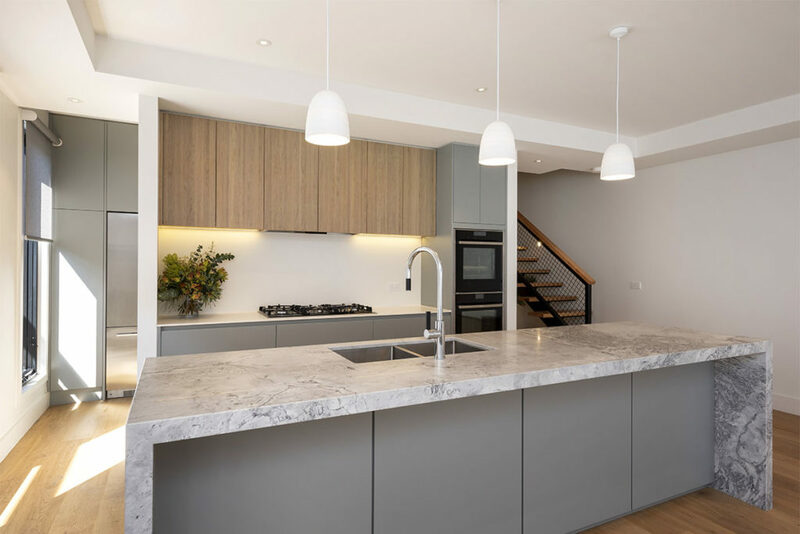 Neolith Estatuario perfectly combines these elements into the Sintered Stone that has modernised the time-honoured white marble look. 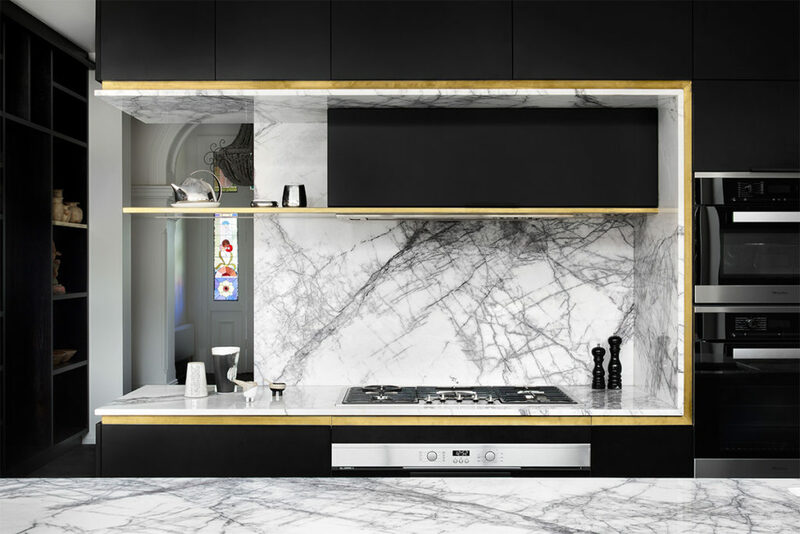 Neolith Estatuario’s striking veining oozes an unmatched elegance. The International Surface Event is the largest North American flooring, stone and tiling industry event. With exhibitions and demonstrations from the largest suppliers of stone machinery and tools, this event is displays the latest products, advice and new technologies. 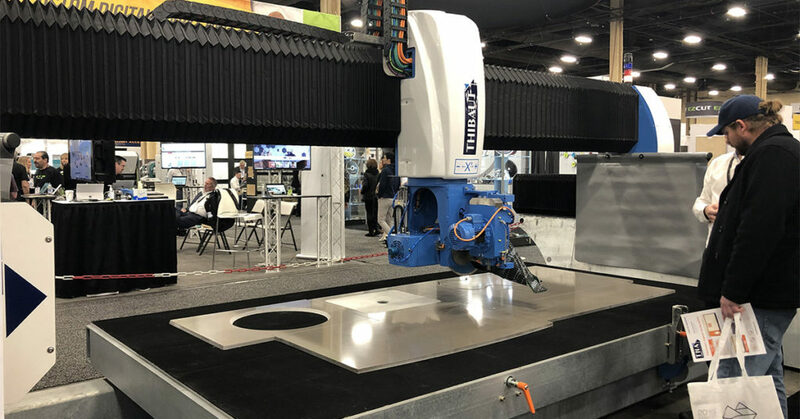 Held in Las Vegas, CDK Stone’s Machinery, Tools and Equipment specialists have been discovering the latest the international stone industry has to offer.